Credit card reward programs can look seriously attractive from a distance but, depending on how you use your card, a rewards program may not be right for you. Before you sign up for a rewards credit card, here are some questions you should consider. Do I spend enough on my card to make the rewards program worthwhile? At the end of the day, rewards programs are an incentive to spend more on your credit card. However, if you are not disciplined about managing your debt, they could be an implicit incentive to spend more on credit card interest. 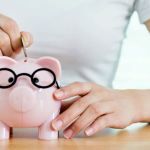 If you manage to responsibly pay off a medium-sized or large balance on your credit card every month, then you could potentially reap serious benefits from a rewards program. However, if you don’t use your credit card much, or don’t have one at all because you don’t feel the need for one, then changing your spending habits for the sake of a rewards program probably isn’t worth the potential debt and/or financial stress that a credit card can cause. Does the rewards program offer rewards I want to receive? Not all rewards programs are created equally, with different programs offering different rewards in different forms, and to different extents. Some rewards are particularly hard to redeem, and some simply may not suit your lifestyle. Different rewards programs will suit different types of spenders. 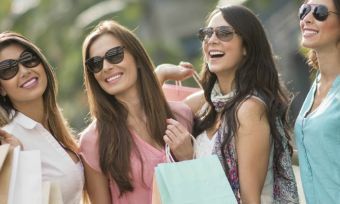 That being said, many rewards programs are based around universal reward points, which can be redeemed in a much wider variety of ways such as: cash back, gift cards, technological merchandise such as mobile phones, movie tickets, magazine subscriptions; in short, things that are cheaper and more immediately attainable than free flights. So unless you’re a frequent traveler, keep in mind that not all reward programs are based around travel. What is the annual membership fee attached to the rewards card? 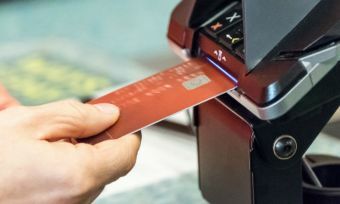 Rewards cards are generally a little pricier than basic credit cards, with annual fees of up to $450 (some non-rewards cards will charge you a grand total of $0 per year). With this in mind, it’s important to consider whether you can earn enough rewards to justify this fee; if you don’t use your card enough to get at least your money back in rewards, you’ll essentially be throwing your money away, and in the general direction of your bank no less. Ideally, you want to be earning significantly more than the value of the fee in rewards; otherwise you’re not taking advantage of the card’s potential. For cards with smaller fees this won’t be too hard, but if you’re looking at one of the cards with an annual $700 price tag, you’d better be planning on some big spending. What is the interest rate on rewards cards? 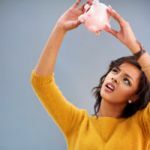 As mentioned before, interest rates can be a dangerous thing for non-disciplined spenders, especially when the nature of a rewards program encourages you to spend as much as possible. Higher than average interest rates are a common feature for credit cards with rewards programs attached and, with rates of between 19% and 22% being par for the course, you want to be sure that you’ll be able to pay card balances before they start accruing interest. Otherwise, you risk nullifying any rewards you receive by having to pay hefty interest on purchases. Interest rates are not relevant, of course, for those who pay their card in full each month. What is the “earn rate” on the card? The earn rate of a card is the rate at which you accrue reward points. The earn rate of a card can be figured out simply by looking at how many points are earned per dollar spent – while some reward programs offer bonus points on certain purchases (fuel, groceries etc. ), the base earn rate still makes for an effective point of comparison among cards. Obviously, the higher rate the better. That being said, it’s important to consider how much the points being earned are actually worth when you cash them in. Reward points don’t have a fixed value, and different banks and financial institutions can value their points however they want. So, one card from Bank A could offer a much higher earn rate than another card from Bank B, but the points earned from Bank A could be worth much less than the points from Bank B, making Bank B’s card a better choice in the long run. Is there any points capping? Many cards have a points cap on them, meaning that you can only earn so many points on them in a year/statement period. While some cards have caps that won’t really affect the average person (e.g. no points past $100,000 spent per statement period), some cards have caps that are actively designed to stop you from getting any serious value out of your card (e.g. no points past $2000 spent per statement period). If you have a good idea of how much you’ll spend using your credit card over a certain period, it’ll be easy for you to figure out which caps will restrict you and which ones won’t, which will in turn make it easier to decide whether a certain rewards card is for you or not. Do the points expire? If so, after how long? Some rewards programs allow points to expire. If you’re looking to save up points over a long time period and cash them in on something big such as international flights and accommodation, you have to be careful to choose a rewards program where points either don’t expire, or take a good few years to expire. It’d be heartbreaking to accrue hundreds of thousands of points only to see them disappear. Luckily enough, some rewards programs don’t let their points expire. Does the card offer any good bonus points deals? If you’re looking for bonus points, you’ve got a few options. Many cards/reward programs offer a lump sum of bonus points just for signing up; although in some cases you may only get the points after spending a certain amount within a certain time period (e.g. 50,000 bonus points after spending $3000 within the first three months). On top of this, certain cards earn more points at certain places. Foreign spending, restaurants, supermarkets, the petrol station; spending at one or more of these places can earn you anywhere up to triple points if you’ve got the right card. Any “free” benefits on the card? Some reward programs come with a handful of free benefits for cardholders, with more privileges being awarded to more expensive/high-tier cards. Common perks include a concierge service and free wine at certain restaurants; however the range of potential benefits includes many other possibilities such as travel insurance, airport lounge visits, etc. It’s important to remember though that these benefits aren’t really free; they can be attached to cards with larger annual fees, and it’s that fee which pays for the services. Don’t be tempted to pay several hundred dollars a year for the sake of free wine and a concierge service. However that being said, they’re a nice thing to have if you can find a card that has them that won’t break the bank. How difficult is it to redeem points? As mentioned earlier, different rewards programs offer different points, and some rewards are notoriously difficult to redeem. 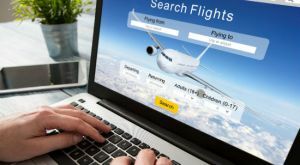 A good example is Frequent Flyer Points; you might have saved up for years and accumulated enough for a cushy business-class flight overseas, but the airline might decide not to allocate any frequent flyer seats on any of the upcoming flights, rendering your efforts worthless for the time being. Reward-based credit cards can be tricky to navigate, and can end up biting you in the behind if you’re not careful with your spending. If you take all of the above into consideration and find the card that gives you the best value, you’ll have no trouble reaping the benefits of that card’s rewards program. Need more help managing your money? Sign up for free to receive tips and news, straight to your inbox.